I’m going to try and post something here everyday between now and the end of the year. After that I’ll see what happens. It might be something simple, like a photo I’ve taken that day or perhaps an old one; or it might be something else. So to kick off, here’s a photo from nearly a year ago, in a garden centre car park, in Warwickshire – I was waiting in the car with the dogs, listening to a radio programme on the music from Star Wars movies. Please feel free to share these posts on social media or comment below. This entry was posted in Dogs, Life and tagged dogs, Life, photo, post a day. Bookmark the permalink. 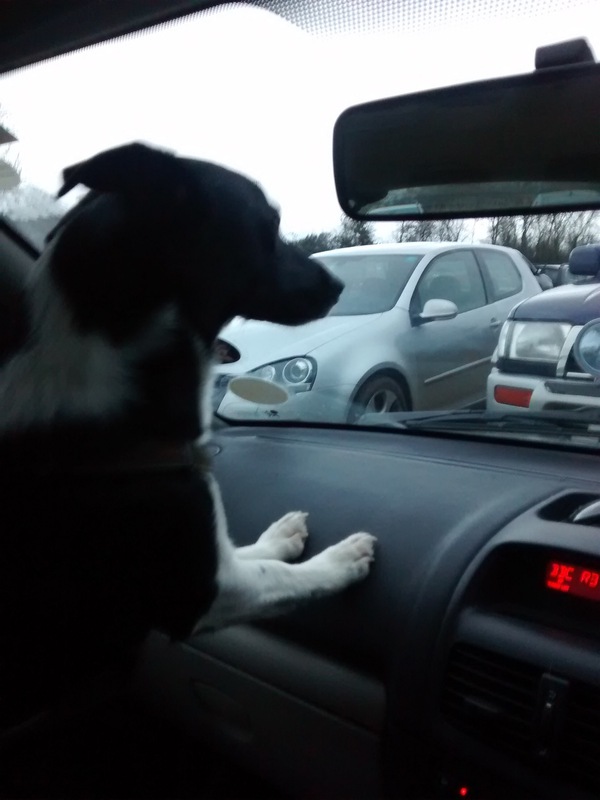 Left waiting in the car with the dogs…. If you would just learn to behave a little bit better, next time you might be allowed into the shoppe. LOL! Hope you’re having a peaceful Sunday. I think the dogs and I got the better end of the deal!